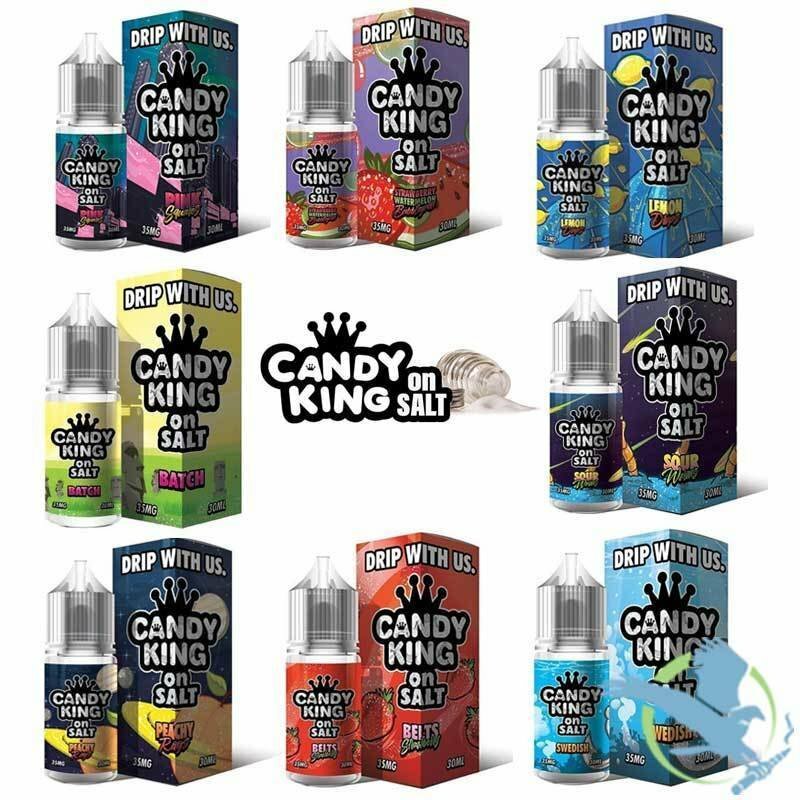 Did you not get the memo, Candy King Salt E Liquid is here. Never forget to stay in the know and don’t leave home without their salt e-liquids in stow. These salt e-liquid blends will have you in a rhyming mood with its rhythmic blend of flavors. Each tiny bottle is loaded with flavors that will make your taste buds dance around. Plus, enjoy smooth tastes and lovely vape clouds with yummy smelling scents that mesmerize everyone you walk past. You don’t have to feel guilty for eating a whole bag of your favorite red fish gummy candies when you can get the same satisfying sweet flavor when you vape Swedish by Candy King! Sour Belts E-Liquid is a Utopian copy of Strawberry Sour Punch Straws candy. The flavor begins its journey as a long piece of yummy strawberry licorice and is then rolled around in sour and sweet sugar crystals. Sweet and sour lemon drops just like grandma used to keep in her purse. A delicious treat for any time of day. The sweet taste of everyone favorite chewy square candy. Remember giving away all the other colors and keeping all the pink ones? Citrus lemon, tangy orange, juicy sweet cherry, and fresh lime flavor team up with sour and sweet taste to give you Batch by Candy King! A mix of orange, lemon lime, strawberry, cherry, and blue raspberry flavors that have the perfect balance of sour and sweet and will have you thinking you’re chewing into your favorite gummy sour candies!